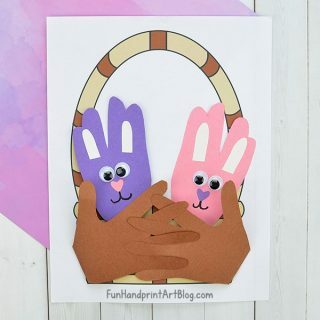 Fingerprint Cards for Mother's Day - 3 Templates Included! 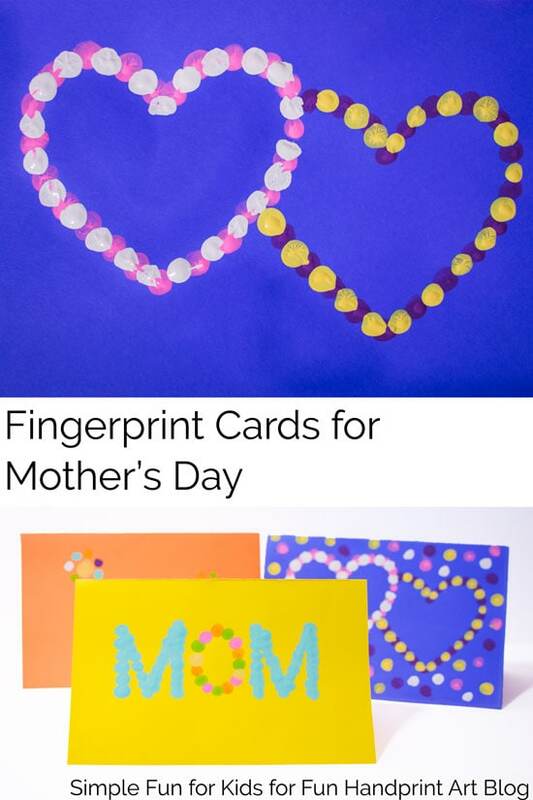 Fingerprint Cards for Mother’s Day – 3 Templates Included! Mother’s Day is coming up! 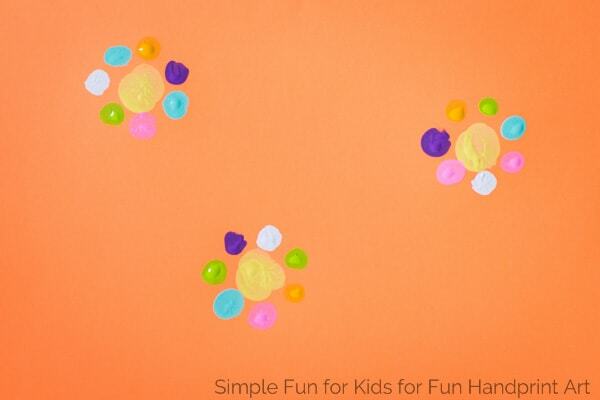 If you’re looking for a quick and simple craft that kids can make, you’re in the right spot. Check out these Fingerprint Cards for Mother’s Day – made even easier with free printable templates! *This post contains affiliate links to the products mentioned. Please read Simple Fun for Kids’ full disclosure policy for more information. 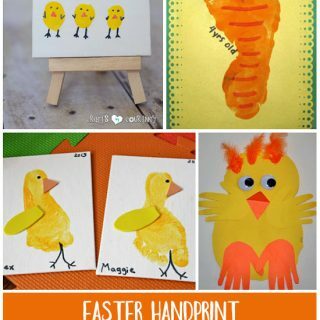 Most recently, we made Fingerprint Easter Egg Cards with a simple template. This time, we’re mixing it up a little: you only need one piece of paper per card, and you print the template on the paper you choose. No scissors required for this one! Please note that I made the template intentionally faint because I didn’t want the lines to show through the paint in the finished card. You’re probably best off using lighter colors for your card. For reference, I was really pushing it with the blue one, I could only barely make out the lines in mixed lighting. 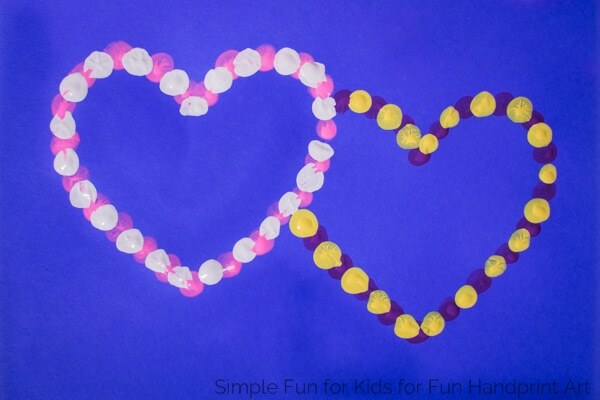 There are three different templates: double hearts, the outline of the word “MOM”, and three simple flowers. I don’t know about you, but freehanding things like this always ends up in disappointment for me. The templates made it super-easy, and the paint covered up the lines perfectly. My favorite template was the one with the double hearts. 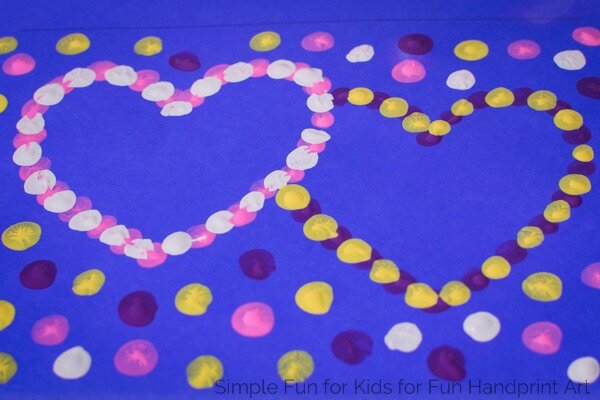 For some extra fun, add fingerprints all around the hearts – or go the other way and fill the hearts with fingerprints. 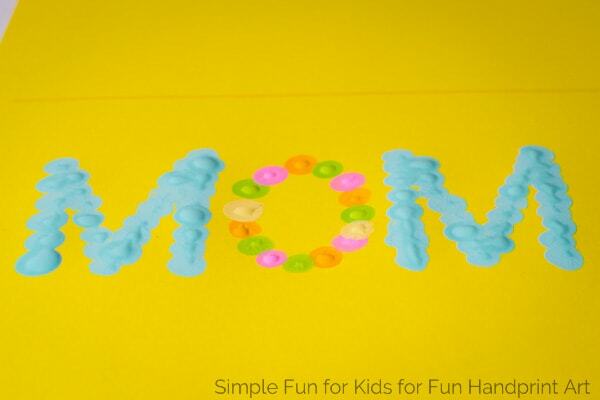 Use different colors for all the letters in “MOM”, use a wild mixture of all the colors you have or stick to one or two colors – your card will always look great! The flower template leaves room for stems or whatever you want to write on the front of the card. Are you looking for other ideas to make Mother’s Day cards? 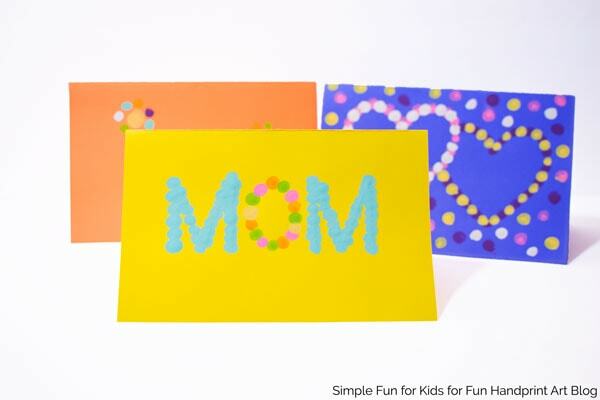 Check out this cute round-up: Handmade Mother’s Day Cards Galore!